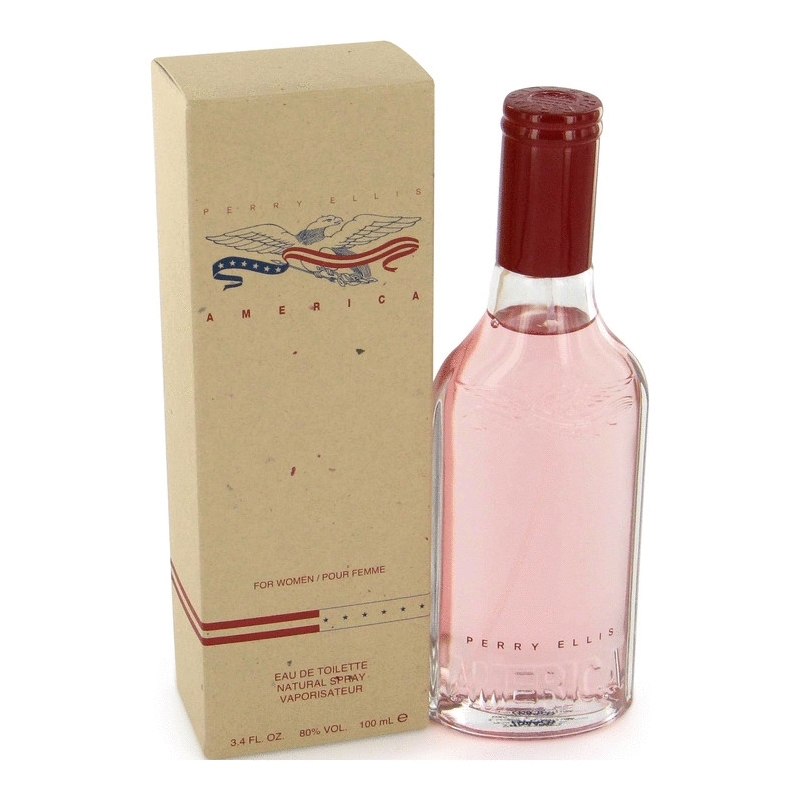 America for Women by Perry Ellis was launched in 1996, paired with the male fragrance. 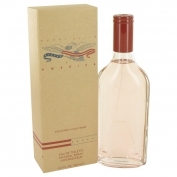 The fragrance is a refreshing floral - fruity. 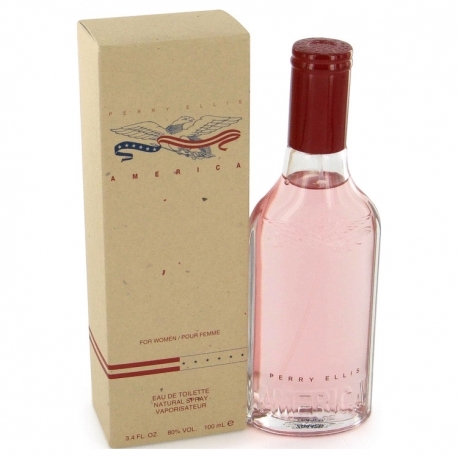 Top notes: pink grapefruit, green apple, blueberry, freesia and lilac. Heart: honeysuckle, nectarine, ice tea, daylily and yucca flower. Base: plum, vanilla, orchid, red wood, cedar and musk. Available as EDT.